Summertime brings ripe tomatoes and cucumbers. My Tomato and Cucumber Salad with Peppered Goat Cheese pairs well with the coolest summer meals. Creamy fresh goat cheese is the best. I like to use the MontChevre Crottin goat cheeses when I can. Either served as crumbles or as a chunk, MontChevre goat cheese is a smooth, creamy, and tangy addition to my salads. 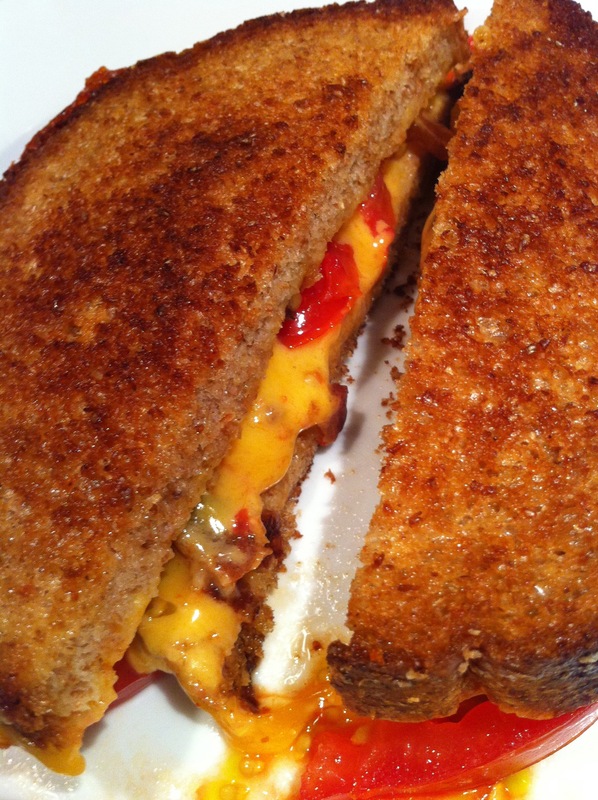 This version uses the Four Peppers goat cheese. 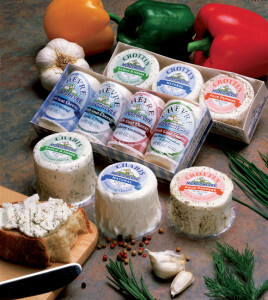 Trader Joe’s carries the MontChevre Crottin three-pack with Four Peppers, Natural, and Garlic & Herbs goat cheeses. You can use either of the three, or your favorite goat cheese. 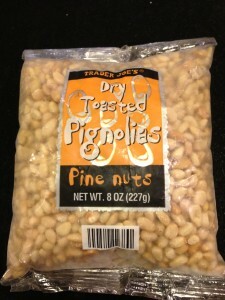 Also, my favorite nuts include Trader Joe’s Dry Toasted Pine Nuts. 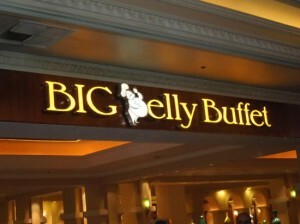 They’re pretty tasty. This is a simple salad made “fancy” with a cucumber “chiffonade.” A chiffonade means that the cucumber is cut into thin strips. I like to cut cucumber rounds and then stack them and cut across into a chiffonade. Keep the dark green cucumber peel on the cucumber — it adds color. 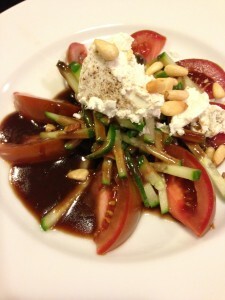 Arrange some quartered tomatoes and the cucumber chiffonade on a plate. Drizzle with my special Tarragon Balsamic Dressing. 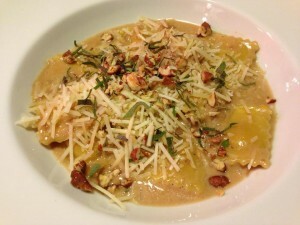 Top with a chunk of peppered goat cheese and Trader Joe’s dry toasted pine nuts. Salad is served! 1. Core and quarter the tomatoes. 2. 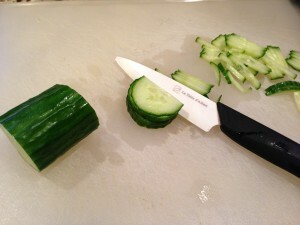 Cut the unpeeled cucumber into 1/4 inch thick round slices. Stack 4 – 5 slices on top of each other and cut into long strips to form a chiffonade. 3. Arrange 8 tomato quarters in a decorative design on each plate. 4. Divide the cucumber chiffonade amongst the plates. 5. 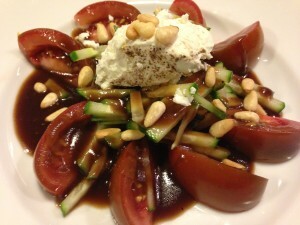 Drizzle the tarragon balsamic dressing over the tomatoes and cucumbers. 6. Top each salad with a portion of goat cheese. 7. 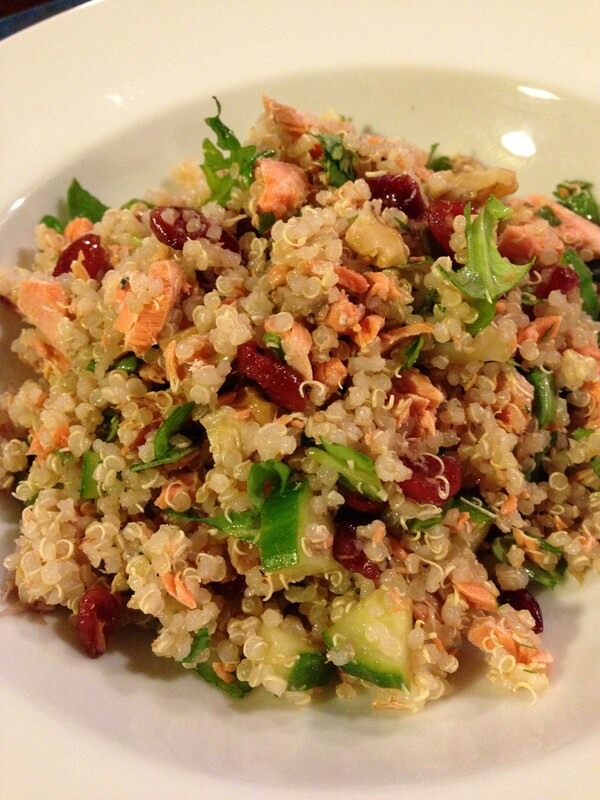 Sprinkle the toasted pine nuts over the salad. Serves 4 as a salad course. Offer toasted garlic bread or flavored crackers with the salad. 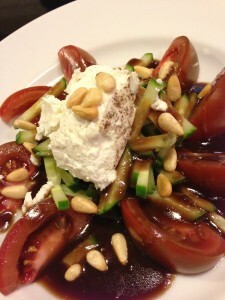 Varations: If you have larger beefsteak tomatoes, slice the tomatoes instead of quartering them, and place the cucumber, dressing, goat cheese, and pine nuts on top of the slices. Substitute a wedge of bleu cheese for the goat cheese. Use plain goat cheese instead of flavored. Now, if you want a super splurge, substitute my favorite indulgent Bleu Cheese Dressing for the Tarragon Balsamic Dressing, and top with a big chunk of your favorite bleu cheese. If you want to lighten this recipe, omit the cheese and try my Lemon Thyme Vinaigrette or my Low-Fat Bleu Cheese Dressing.